Hey, all. 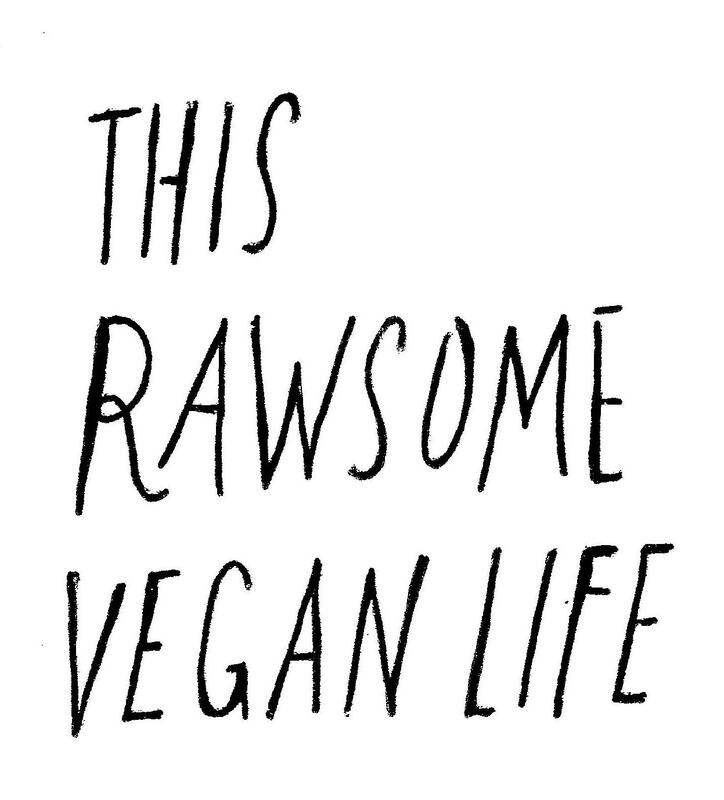 So today is an exceptionally exceptional day because my book, Rawsome Vegan Baking, which has been in the making for a year now, is being OFFICIALLY PUBLISHED! Order your copy from here. I use the term 'officially' here because apparently some of you have already gotten yours and it's already in some bookstores... but March 4th was the pub date I was given month and months and months ago, so I'm gonna celebrate, dammit! A bunch of other exciting stuff has happened in the past few days too, which I will be sharing in this post; as well as giving you a sneakpeak into the book. But for now, let's just take a moment to freak out. All my dreams are coming true and I'm a little scared because what if I'm accidentally using up all my food fortune in just a few years and the rest of my days are spent lived in terribly poor luck!? *Push that thought aside. Keep freaking out in a totally positive, over-the-moon way. * Naaaah, it's all good. I just cannot believe that my book is going to be in all these book stores I frequently visit, and just a couple years ago, daydreamed of selling my own books in. I actually cannot think of how my situation could be improved. Unless Ellen emailed me and wanted me on her show. Vegan lesbians unite. (Although I call myself pansexual, not lesbian, but still.) 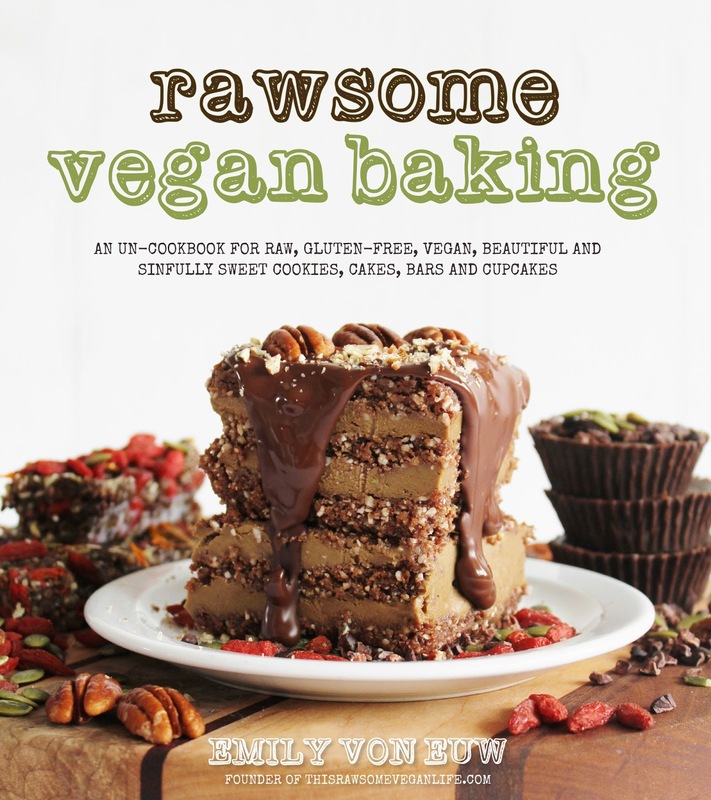 I mean, Rawsome Vegan Baking is being sold pretty much everywhere; Amazon, Barnes & Noble, Indigo, Books-A-Million, Indie Bound, The Book Depository and wherever else books are sold! It's also going to be in a bunch of local shops that I love to visit like Eternal Abundance, Nice Shoes, Banyen Books and The Soap Dispensary. Okay enough of that. Some other amazing things that have happened recently? I was featured on the cover of my university's newspaper, The Peak, and had a two-page interview inside! 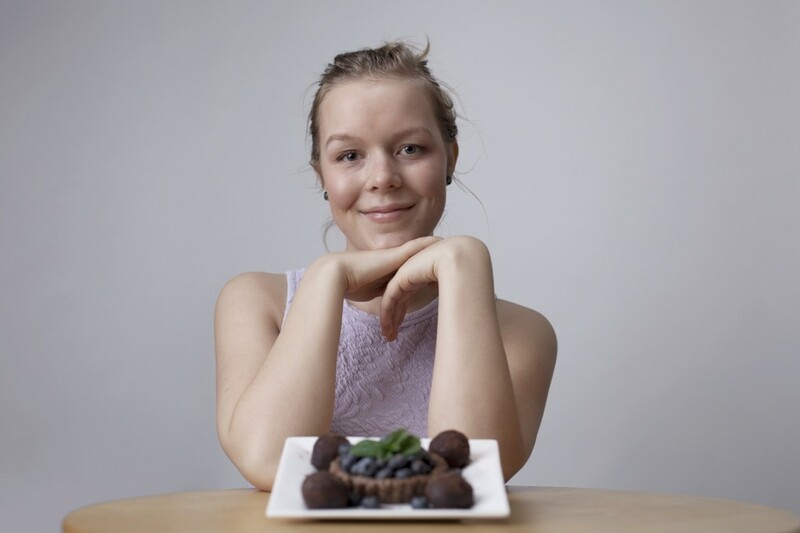 Raw vegan food is going mainstream (kinda)! I made my first recipe video, showing you how to create raw vegan chocolate truffles (it's gotten almost 1,000 views in one day!) It's pretty amateur and I realize this, but I will be working to improve my video skillz - yes, with the 'z' - and coming up with more vids for you soon. Watch it, give it the thumbs up, go easy on me. I found out my book is being sold at Costco, which is sort of a huge deal because Costco is about as mainstream as you can get (except maybe Walmart). My book is on VegNews' 15 most-anticipated books of 2014. 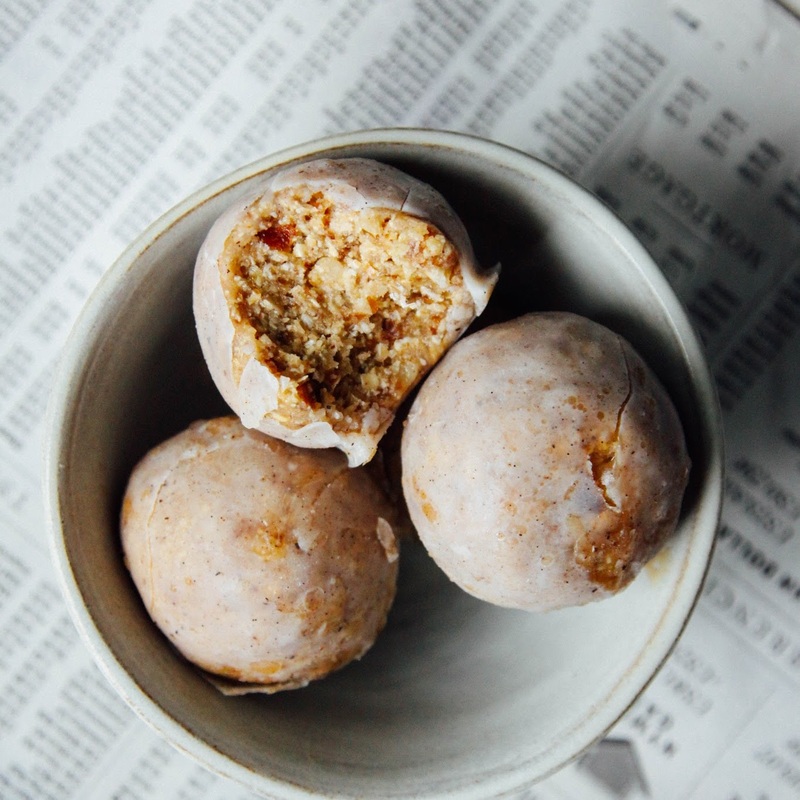 The Saveur Best Food Blogs of 2014 are being nominated right now and I would love you forever if you nominated me. Just saying. And more generally speaking: I'm getting great reviews back on the book and have been in interviews out the whazoo to promote it, which is fun for me (nevertheless, we still have not confirmed the precise definition of 'whazoo'). All in all my life is incredibly exciting right now and I am so stoked for the future. I am ALSO stoked for you beautiful people to hold my book in your hands! Now I'm going to give you some details about it that I haven't shared before... hence the "sneakpeak" aspect of the post title. Hehe. Yep. I know. The world is so good to us, it's not even funny. I'm gonna laugh anyways though because I'm just too darn happy not to. I'm having an amazing day, week, month, year - and I hope you are too. You are the reason I am where I am. All my love goes to you. Congrats Emily! That's so amazing!!! I preordered mine so it should be coming any day and I'll make sure to mention it on my blog! so psyched for my copy to arriive! OH MY GODDDDD IT ALL LOOKS SO GOOD :D I CAN'T WAIT TO HAVE MY PREORDERED COPY IN MY HOT LITTLE HANDS! Congratulations! I really have to buy your book. I'm new into this raw food life and I really love it. 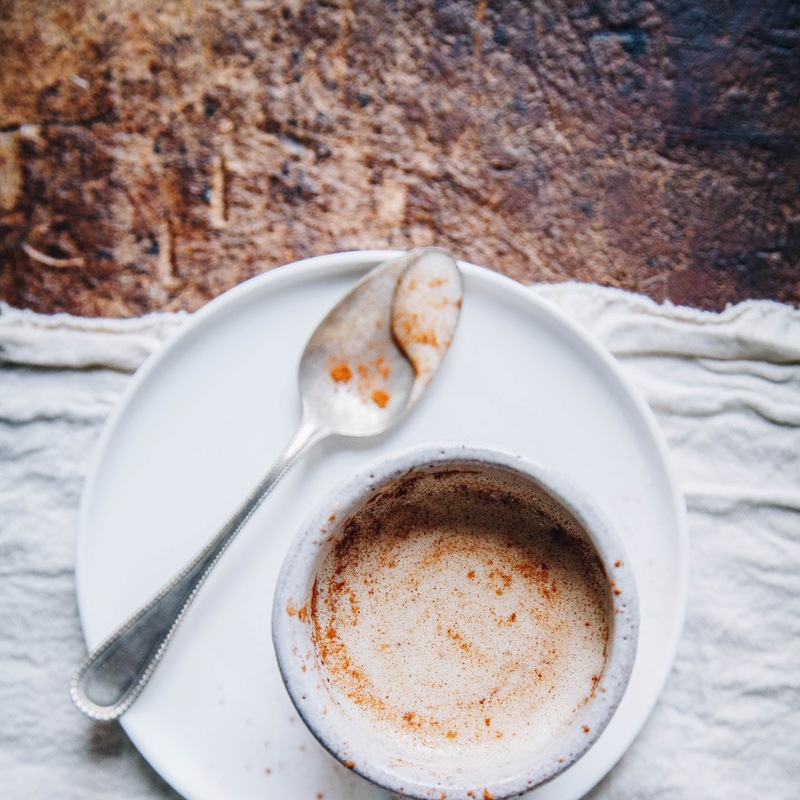 The absolute best thing is all the raw desserts and goodies you can make. I love it! Bought your book on Amazon yesterday. Can't wait to get my hands on it!! :D So excited! Keep it up! I have cleared my evening of any distractions in anticipation of the arrival of my pre-ordered copy. Eeeee! Congratulations Emily! I will deff need to grab a copy! omg I'm so excited to get your book. I preordered it a few months ago and it's ON THE WAY. YAY! I went to your website to make something the other day and my internet was being so funky and wouldn't load anything (I blame your beautiful, beautiful pictures :P) and all I could think was "WHY DON'T I HAVE THE COOKBOOK YET!" I bet Ellen is totally gonna hit you up. hah! Can't wait to watch the video ... yummm truffles!! Congratulations lady! I haven't ever posted here before but I am a big fan of this site since a friend turned me onto it a few months back, have made a handful of AMAZING things off here, and I am trying to connect more with people I appreciate, even if they don't know me. So thank you and congratulations on your book! woohoo!! Congrats! So excited for you and the cookbook! Can't wait to get my hands on it :) those photos are gorgeous and the perfect tease! Ze awesomeness! You so deserve this :-) Congrats!! Em! I am so happy for you and so proud of you! Your book looks AMAZING and I will be purchasing ASAP. I am working on a Tonic Alchemy Book for Kindle and iPad, etc. - and would love to have mine on the shelves like yours someday. Aim big, right! Yes, do more videos. They are down to earth, helpful and authentic. You have inspired me to get back to doing videos on my blog again too - it's been awhile. I really love your recipes and have been making several each week. Chocolate is my go-to for making goodies too. Again, so psyched for your success, happiness, and your book. I got through reading the 2nd item on the table of contents and ordered a copy. Done & done. Can't wait to actually get it and drool over all the photos! ....and of course give my all at recreating heaven on earth. Congrats girls! Congratulations! You are so talented, and I love your recipes! YOU DESERVE ALL THE LOVE, HEALTH, PEACE AND HAPPINESS IN THE ENTIRE UNIVERSE. YOU GOT WHERE YOU ARE FROM ALL YOUR CREATIVE HARD WORK AND DEDICATION PLUS YOUR RECIPES ARE TOTALLY DELICIOUS !!! And I can't wait it looks so amazing! 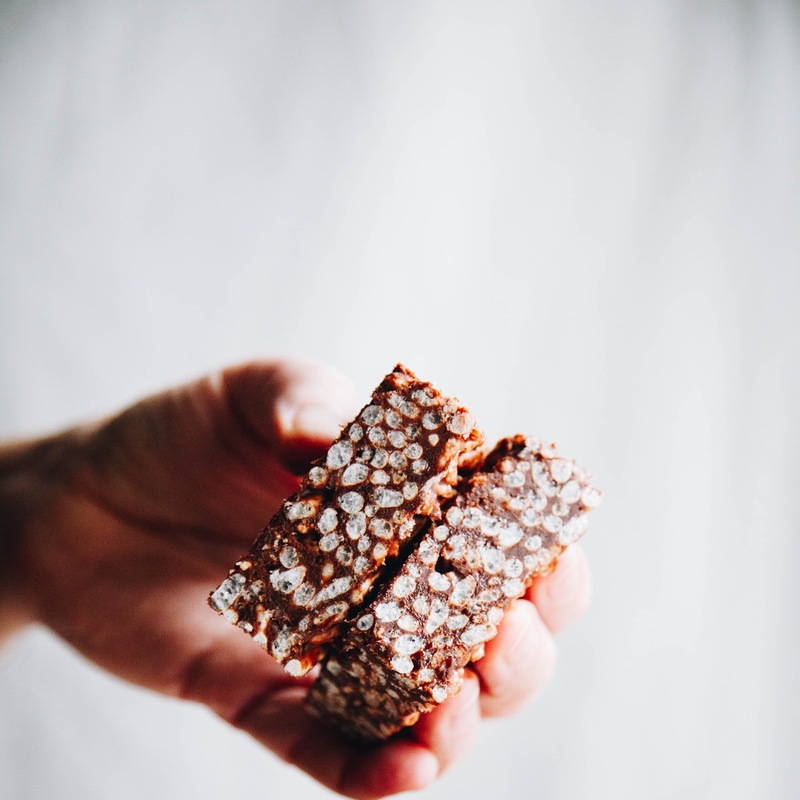 avocado mint cream bars with chocolate!!!! ok so follow up comment! Love the video! I would promise to make those truffles but since i got your book that evening after I posted a comment I've been too busy staring longingly at everything in that book like it's an old lover's eyes. ANYWAYS. Making mad stuff out of your book, so so wonderful. Glad you are like... in the business! What a dream come true. :D Please make more videos! You are adorable. You did a great job on your video. Nothing to be worried about. I will be making one of your book recipes and posting on Sunday :-) I can't wait. As a follower of your blog for more than a year, I can't express how excited I am about your cookbook! When I first went raw, your blog was my Bible. Thank you for all of your hard work and delicious recipes. You have an incredible gift; keep rockin' it! Hi Emily! 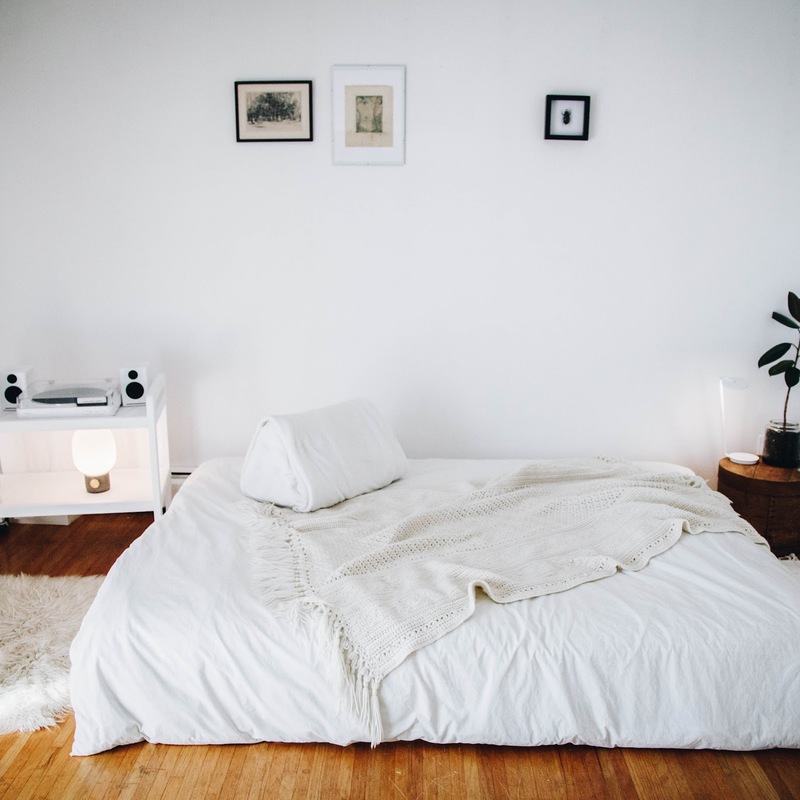 I recently found your blog and immediately fell in love with it, and your spirit and photography! 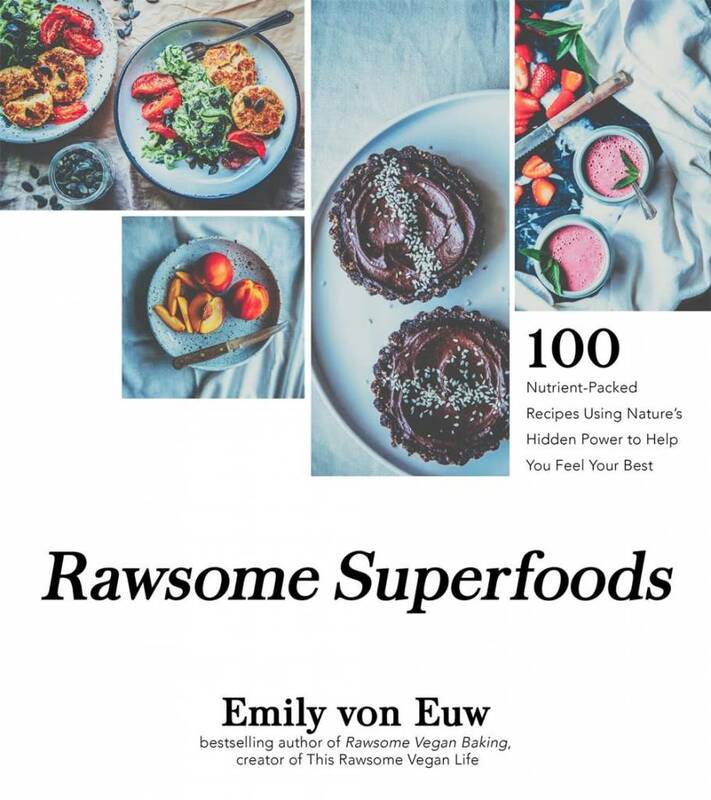 Quick question about your book....as I am a nonraw vegan (who LOVES raw desserts) I don't own a dehydrator and am wondering if most of your recipes require one before I order it. Thanks girl! I received my copy here in the UK yesterday (( before the official release date). It is amazing! I'm going to make the Black Forest Cake this Sunday for Mother's Day for myself. I really want something special on the day and, unfortunately, my other half could burn a boiled egg. I've been following your blog for quite a while now and must say that your enthusiasm is infectious. When I started raw veganism I was totally intimidated by making anything bolder than a salad, I am now experimenting and substituting regularly, thanks to your very unintimidating approach to raw. Book is AMAZING! 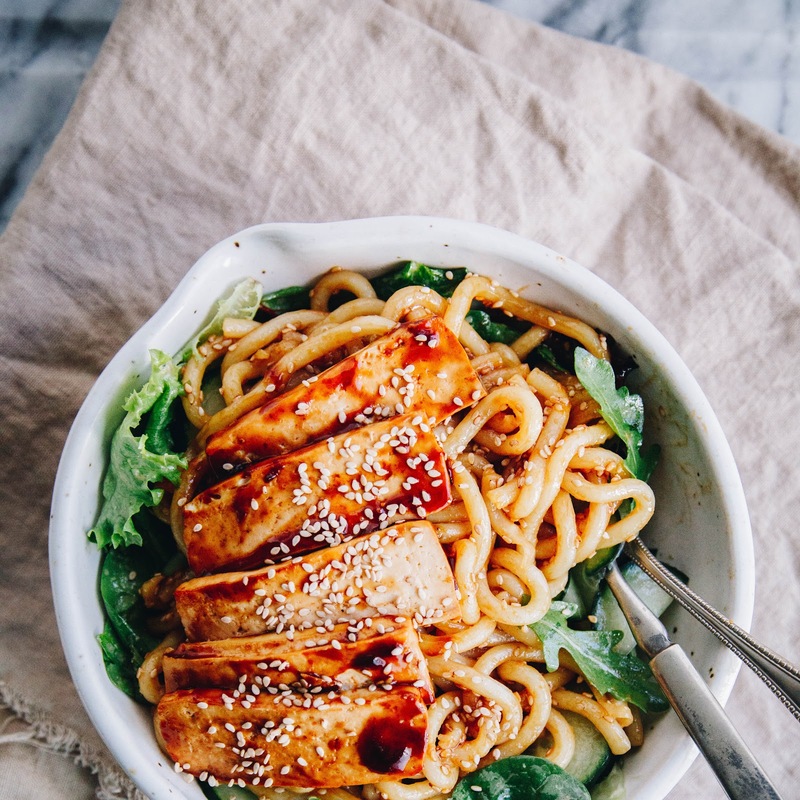 Everything looks so delish! So far tried the cranberry bars - yum, yum! My only complaint is that you did not use a newer picture of you! You look so beautiful in your new photos! Also managed to finally find cocoa butter in the store, it was in a burlap sack at Whole Foods - who knew? Look forward to trying many more recipes! Seriously, why isn't everyone vegan? I don't know anyone who is omni and eats as well as you. Plants are amazing! Cannot wait to try all these recipes! Everyone (Friends, Family and Coworkers) is psyched for the recipes and the pictures. Very good work! Your book is amazing. Everyone (Friends, Coworkers, Family) is psyched over the recipes and the pictures. This goes on my 60th birthday wish list for next month - it looks so good - I hope I can buy it in the UK:) Well done you! Waaaait a second... Eternal Abundance... the soap dispensary... Banyen flipping books? Love you, love your work, thank you for being such a bright shining light. My friend posted a pic of the Caramel Mocha Bars on Facebook, I thought they looked delicious so I asked her where she got the recipe - just been previewing your book on Amazon - OMG it looks A-M-A-Z-I-N-G, it's top of my wish list now. Want to try the double chcolate silk pie on pg 59 but it doesn't say what size pan to use. Is my 10" pan going to be big enough?